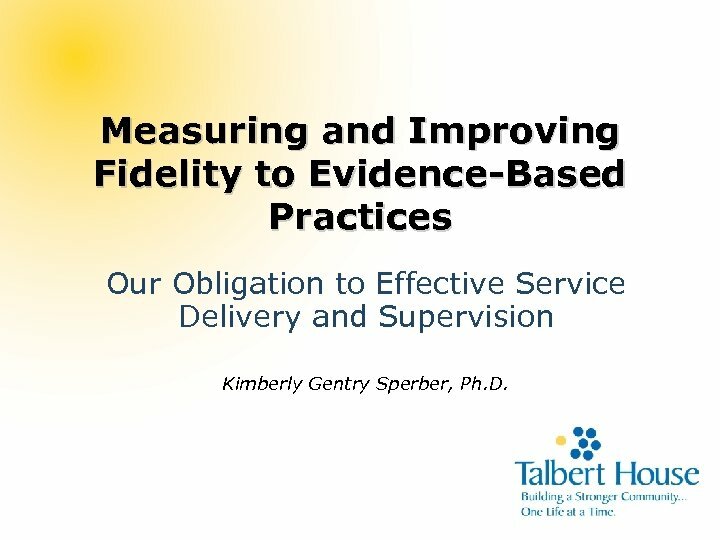 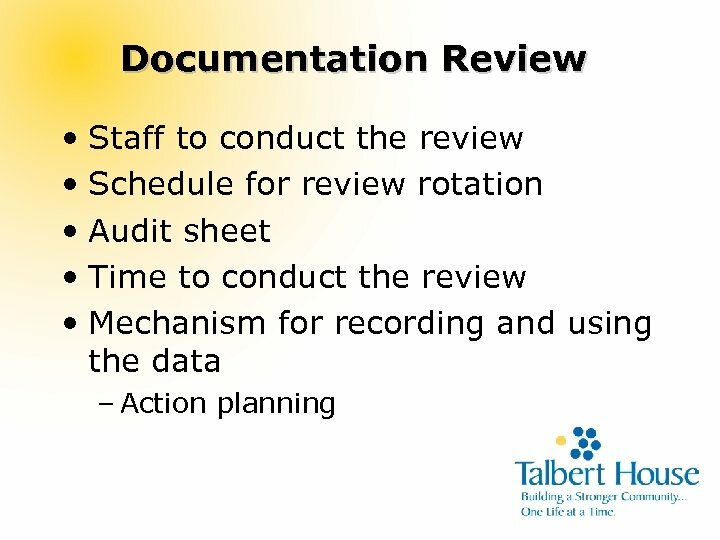 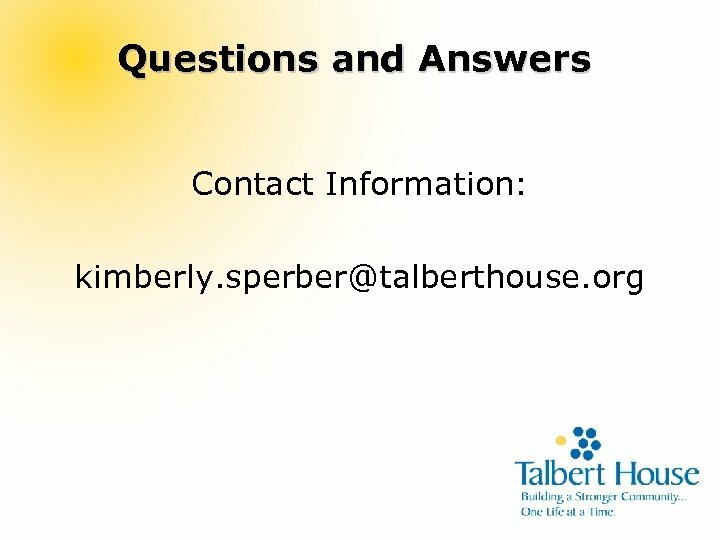 Measuring and Improving Fidelity to Evidence-Based Practices Our Obligation to Effective Service Delivery and Supervision Kimberly Gentry Sperber, Ph. 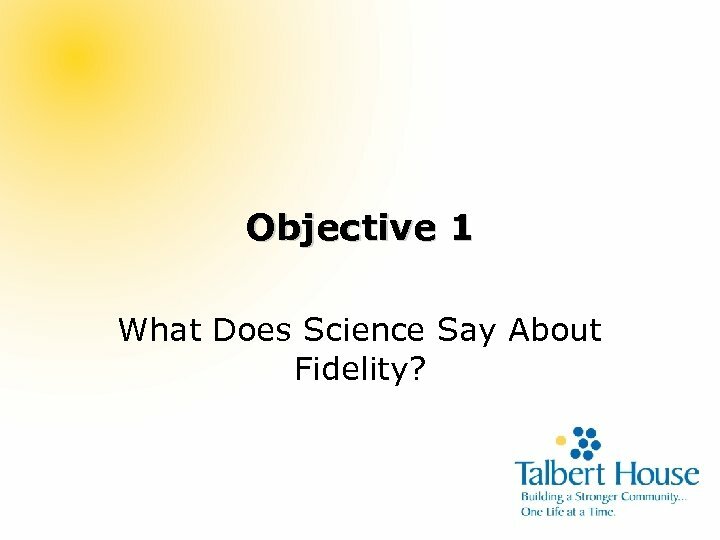 D.
Objective 1 What Does Science Say About Fidelity? 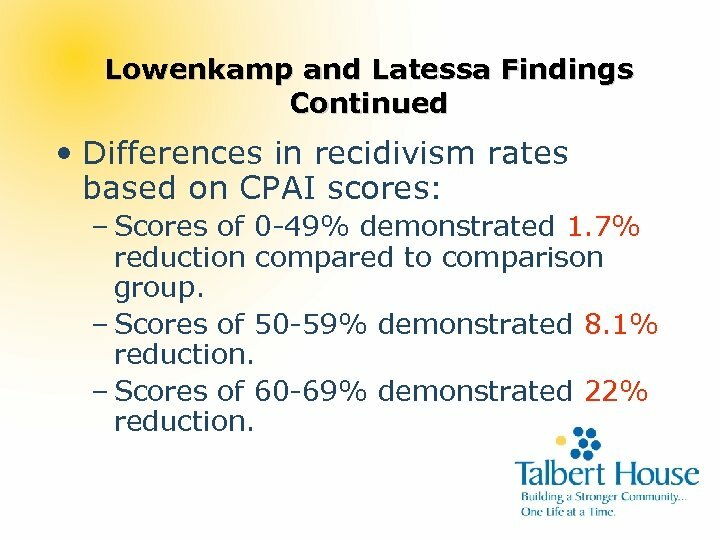 Lowenkamp and Latessa Findings Continued • Differences in recidivism rates based on CPAI scores: – Scores of 0 -49% demonstrated 1. 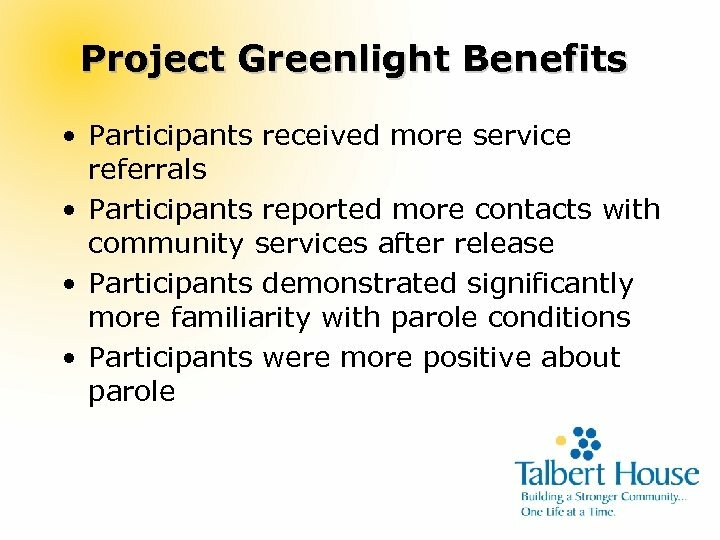 7% reduction compared to comparison group. 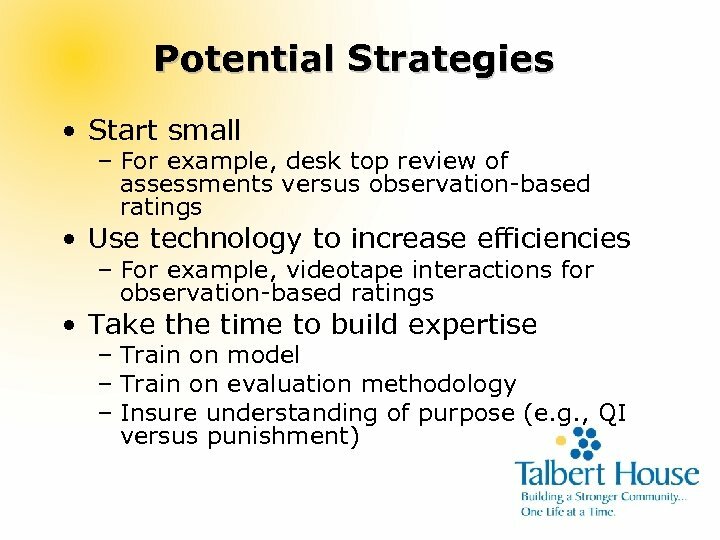 – Scores of 50 -59% demonstrated 8. 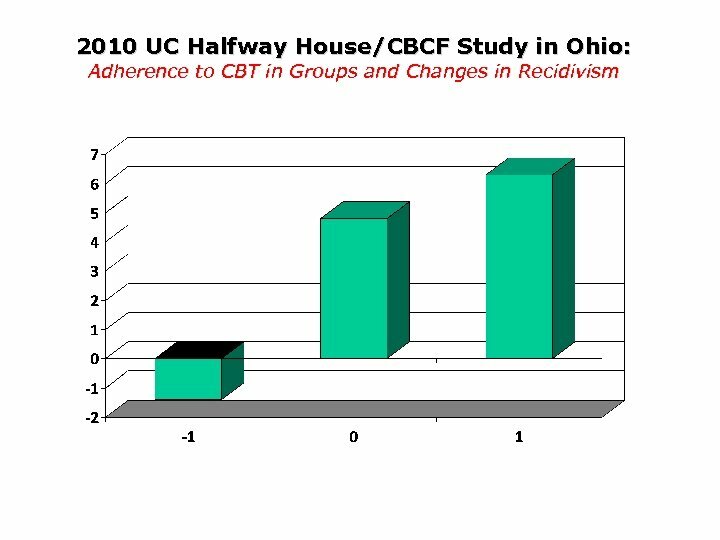 1% reduction. 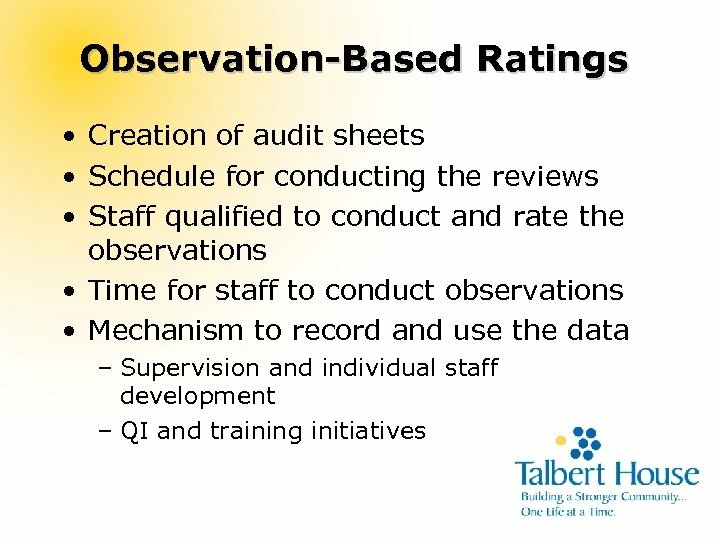 – Scores of 60 -69% demonstrated 22% reduction. 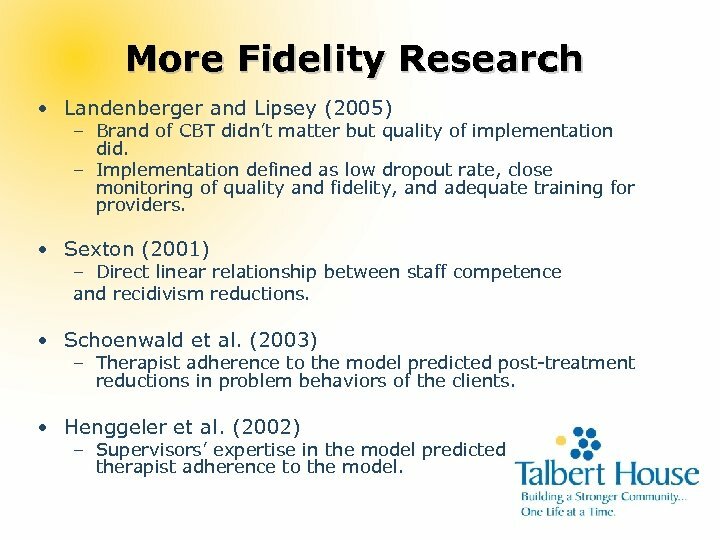 More Fidelity Research • Landenberger and Lipsey (2005) – Brand of CBT didn’t matter but quality of implementation did. 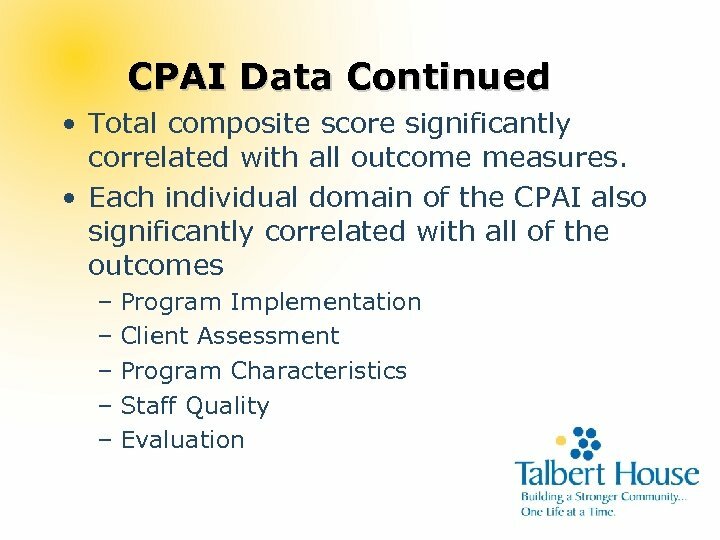 – Implementation defined as low dropout rate, close monitoring of quality and fidelity, and adequate training for providers. 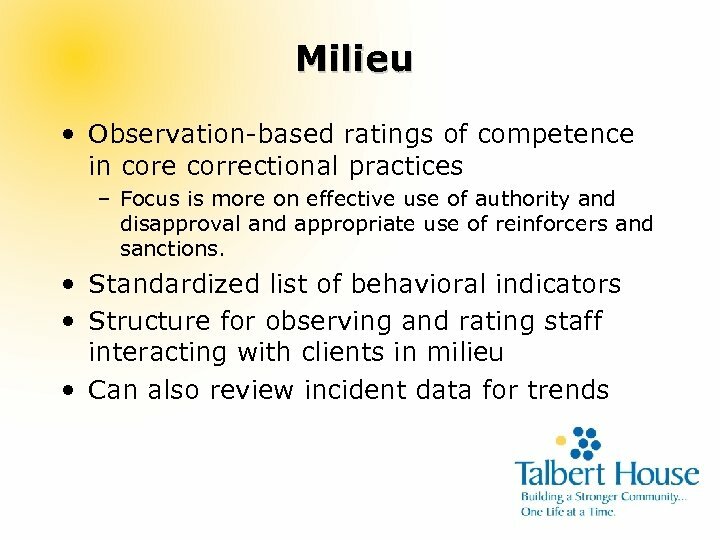 • Sexton (2001) – Direct linear relationship between staff competence and recidivism reductions. 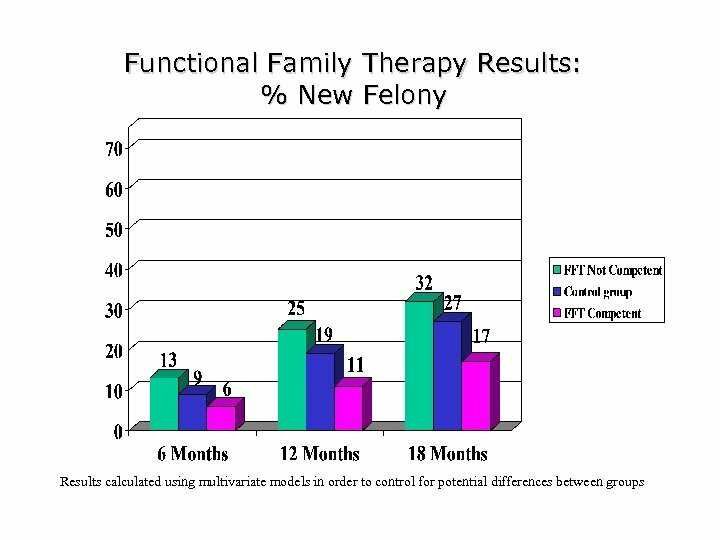 • Schoenwald et al. 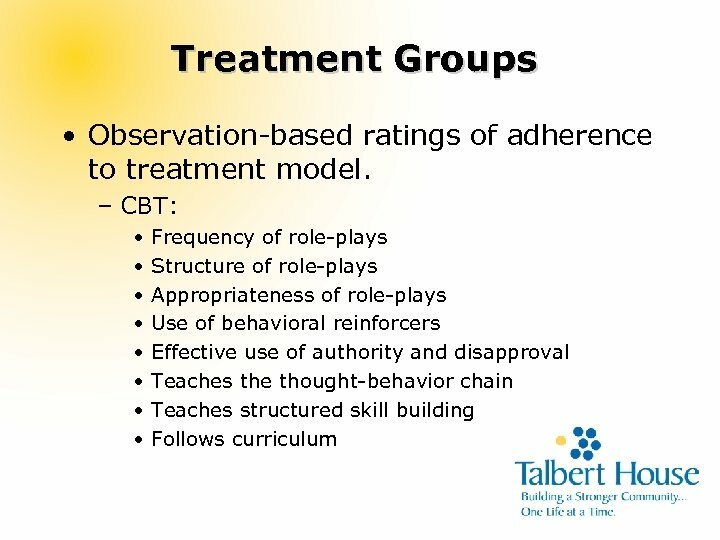 (2003) – Therapist adherence to the model predicted post-treatment reductions in problem behaviors of the clients. 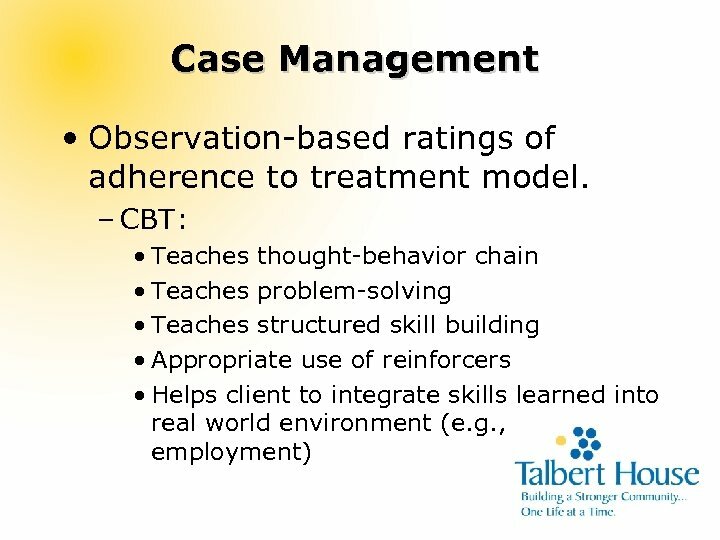 • Henggeler et al. 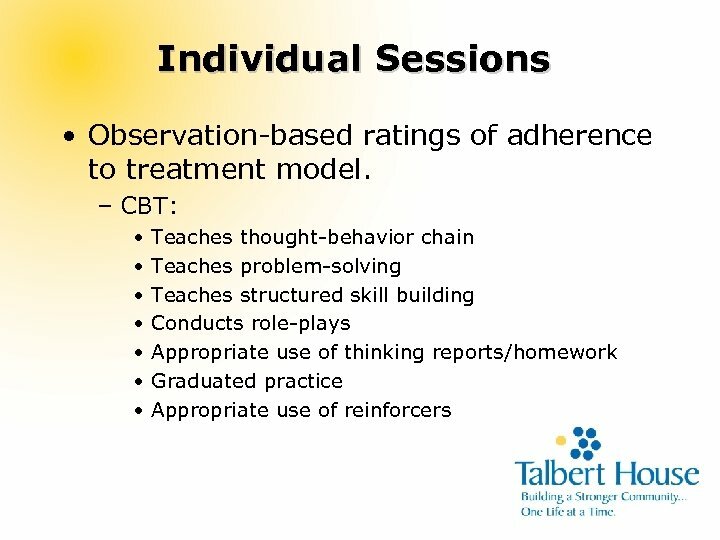 (2002) – Supervisors’ expertise in the model predicted therapist adherence to the model. 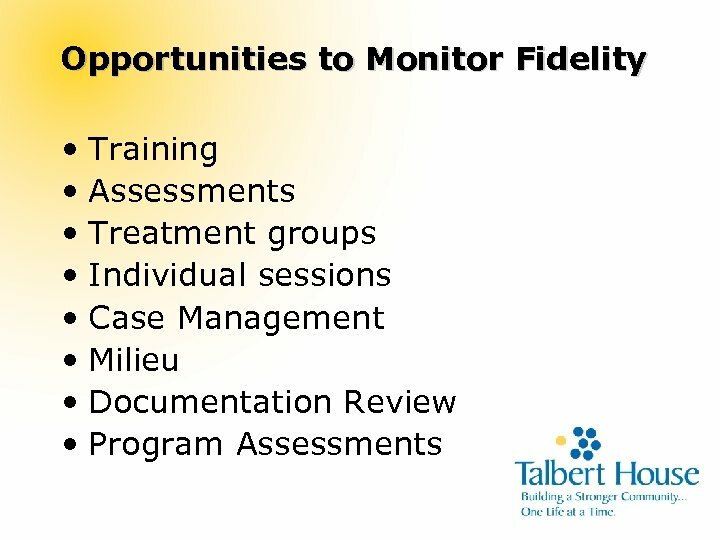 More Fidelity Research Cont’d. 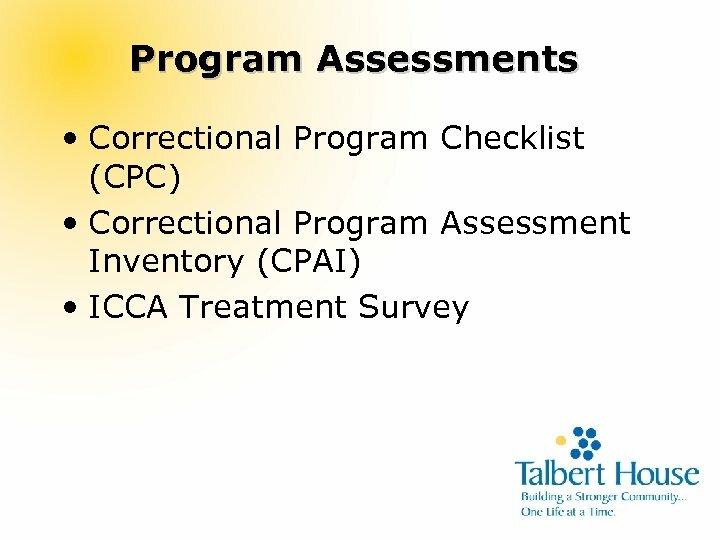 • Mc. 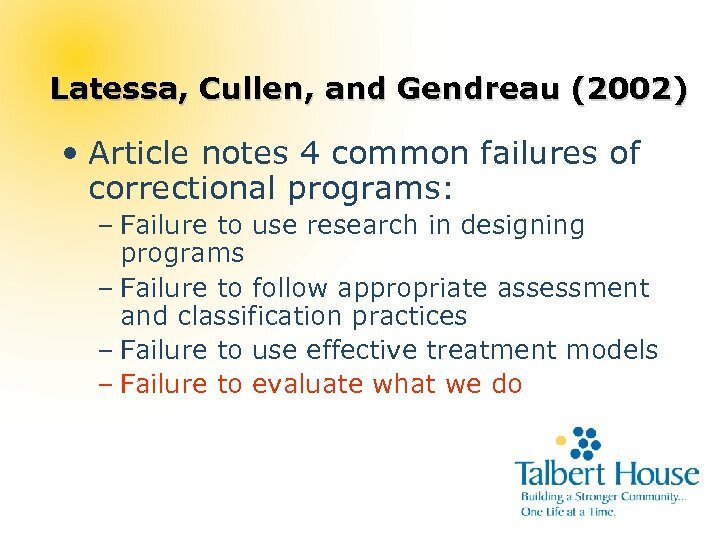 Hugo et al. 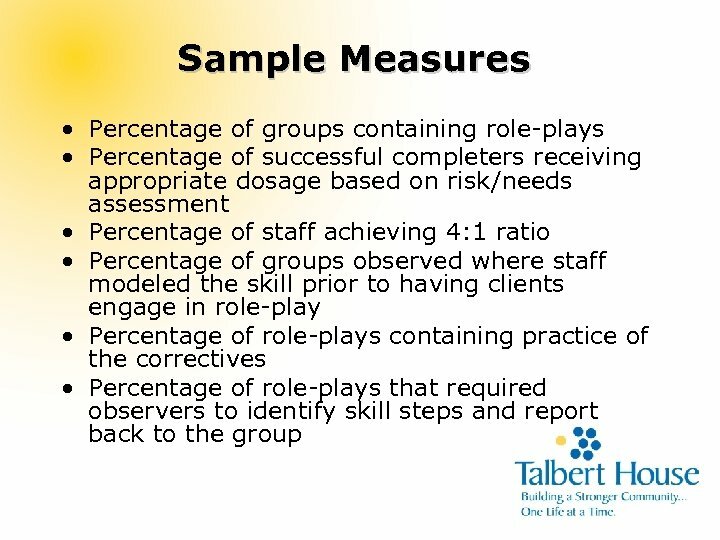 (1999) found that Assertive Community Treatment (ACT) teams with higher fidelity showed greater reductions in substance use, higher rates of remission, and fewer hospitalizations for dual diagnosis clients. 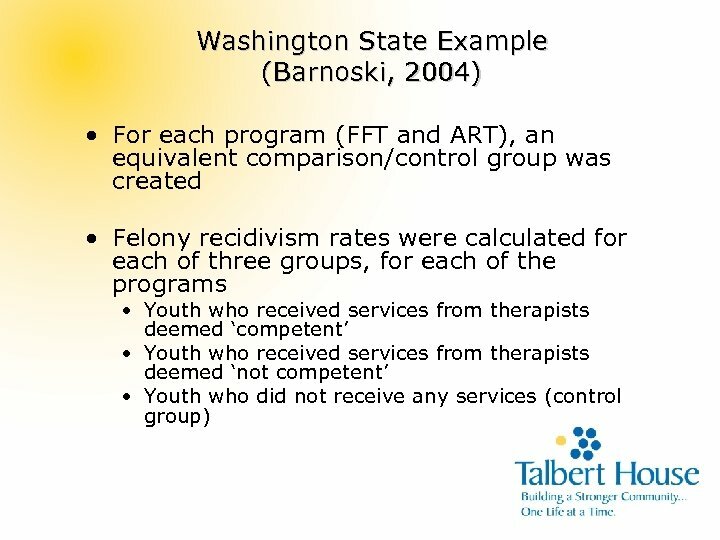 • Kirigin et al. 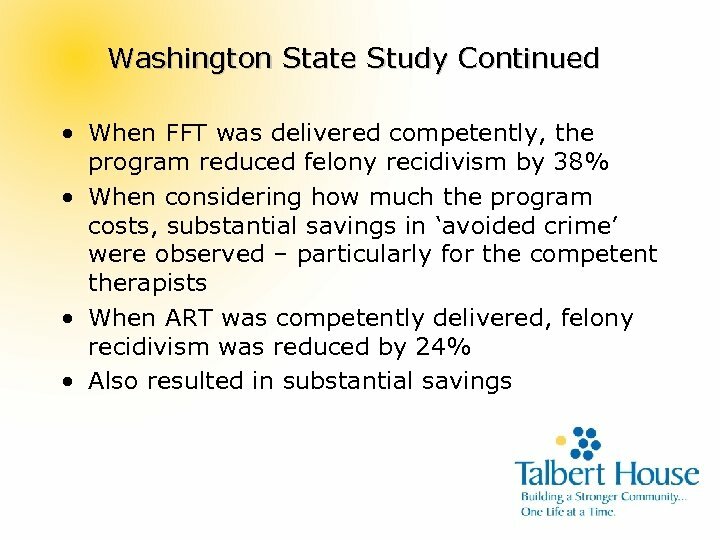 (1982) found that higher fidelity among staff was associated with greater reductions in delinquency. 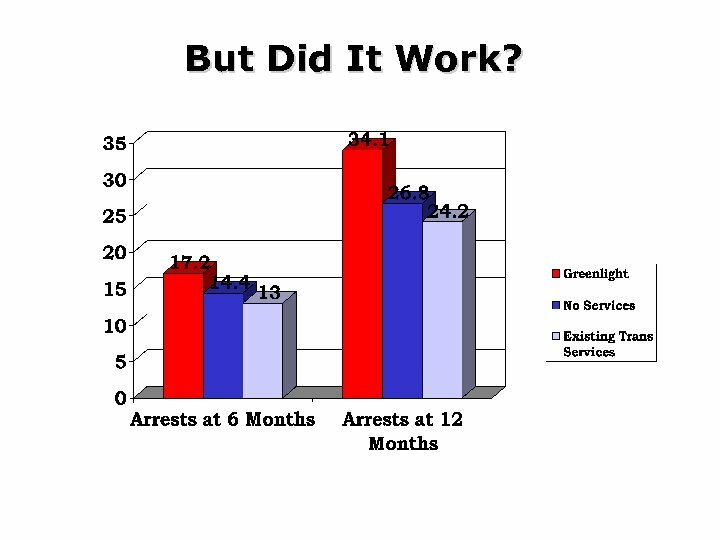 • Bruns et al. 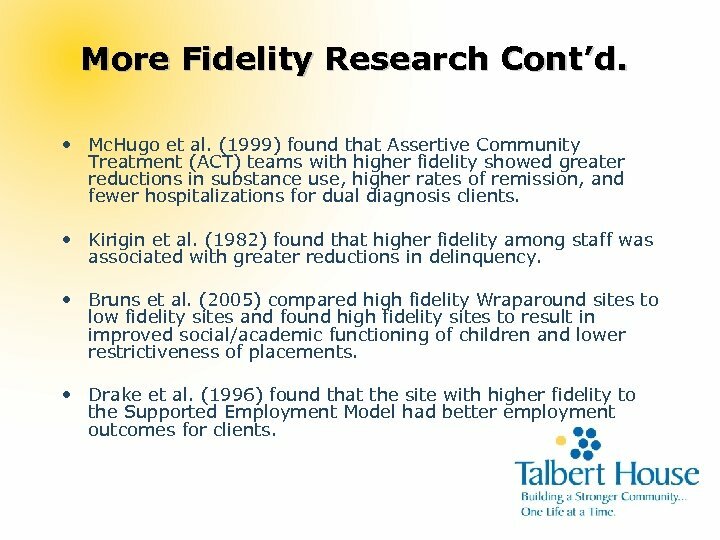 (2005) compared high fidelity Wraparound sites to low fidelity sites and found high fidelity sites to result in improved social/academic functioning of children and lower restrictiveness of placements. 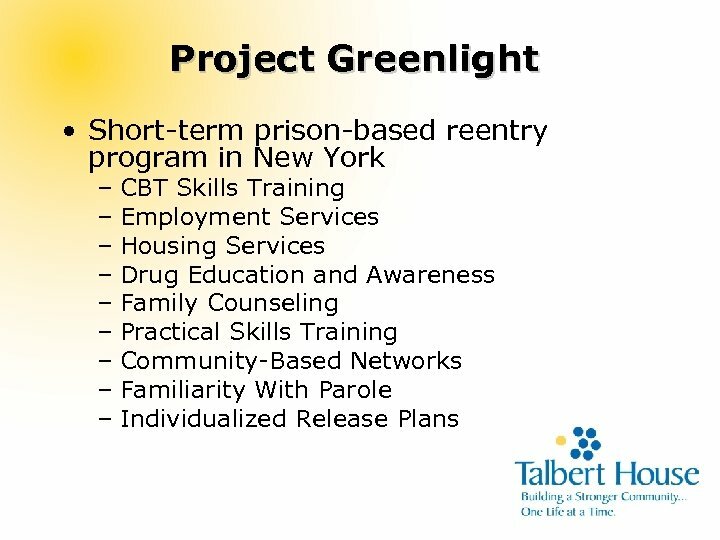 • Drake et al. 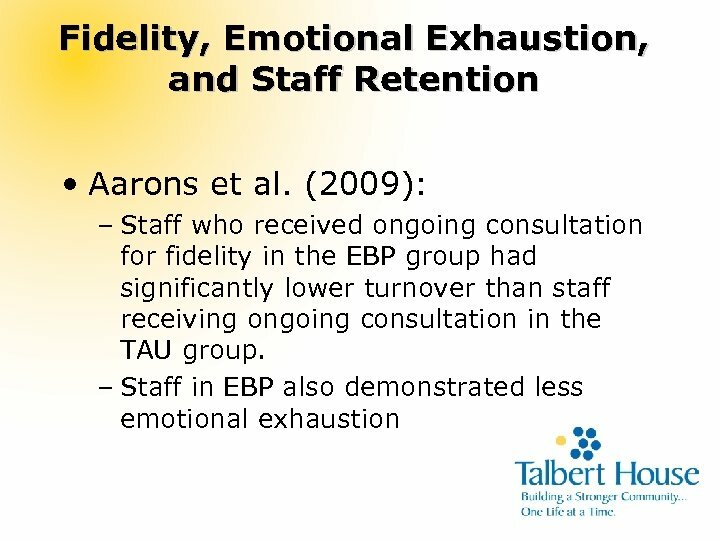 (1996) found that the site with higher fidelity to the Supported Employment Model had better employment outcomes for clients. 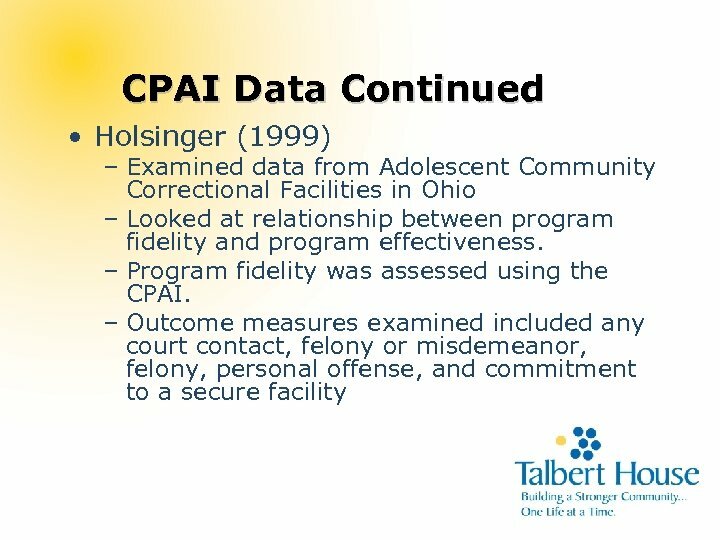 More Fidelity Research Cont’d. 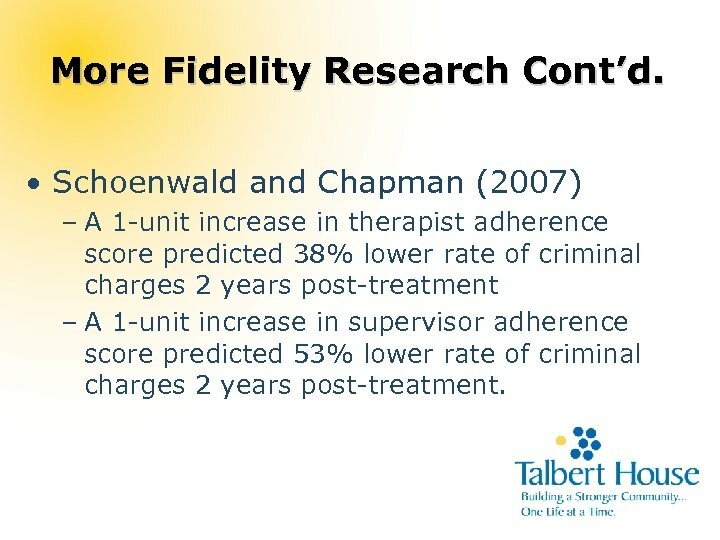 • Schoenwald and Chapman (2007) – A 1 -unit increase in therapist adherence score predicted 38% lower rate of criminal charges 2 years post-treatment – A 1 -unit increase in supervisor adherence score predicted 53% lower rate of criminal charges 2 years post-treatment. 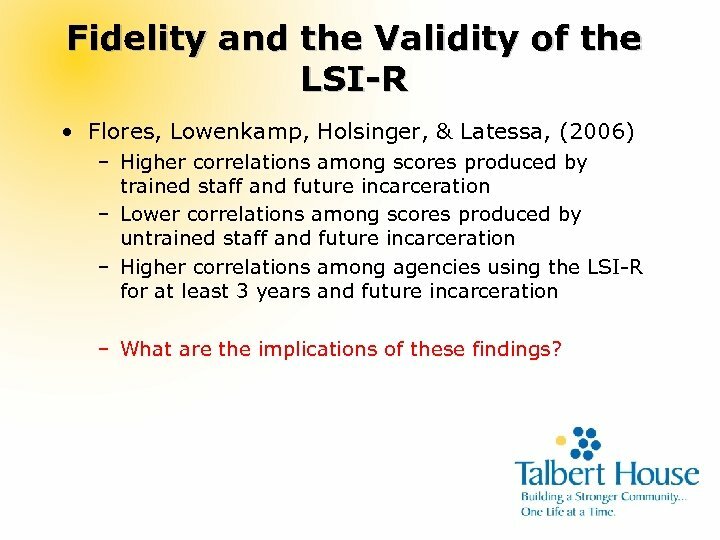 Fidelity and the Validity of the LSI-R • Flores, Lowenkamp, Holsinger, & Latessa, (2006) – Higher correlations among scores produced by trained staff and future incarceration – Lower correlations among scores produced by untrained staff and future incarceration – Higher correlations among agencies using the LSI-R for at least 3 years and future incarceration – What are the implications of these findings? 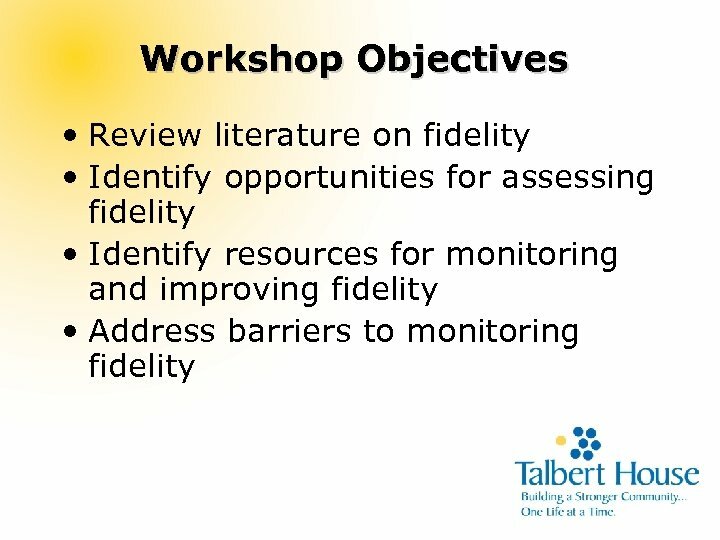 What Do We Know About Fidelity? 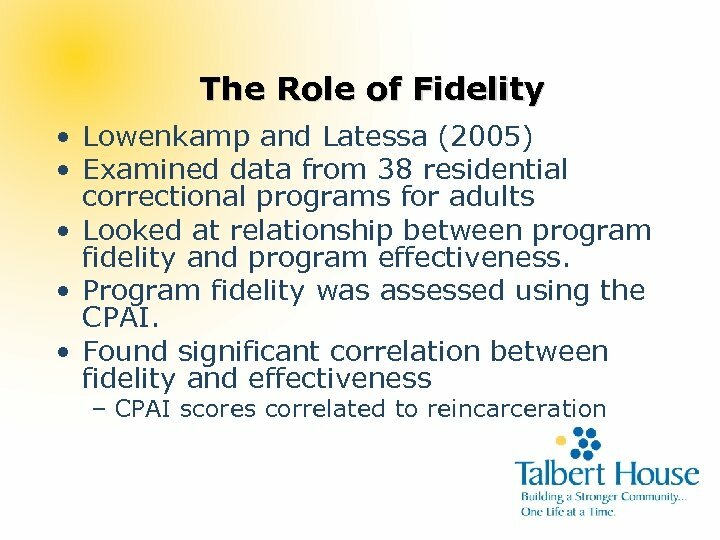 • Fidelity is related to successful outcomes (i. e. , reductions in recidivism, relapse, and MH instability). 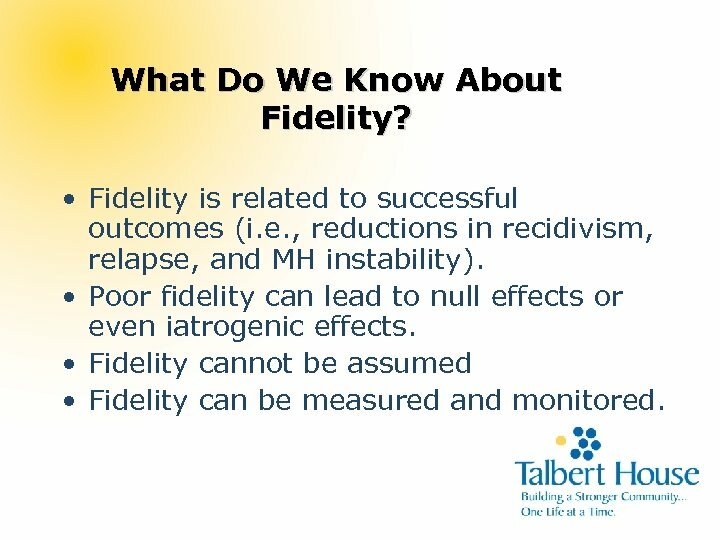 • Poor fidelity can lead to null effects or even iatrogenic effects. 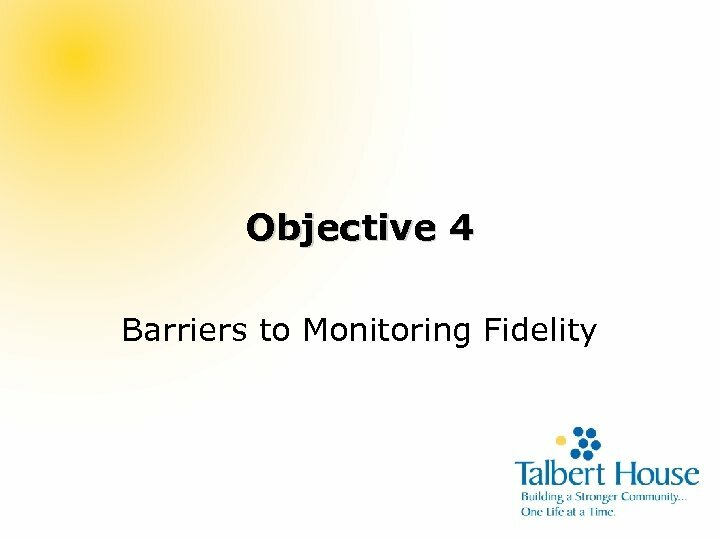 • Fidelity cannot be assumed • Fidelity can be measured and monitored. 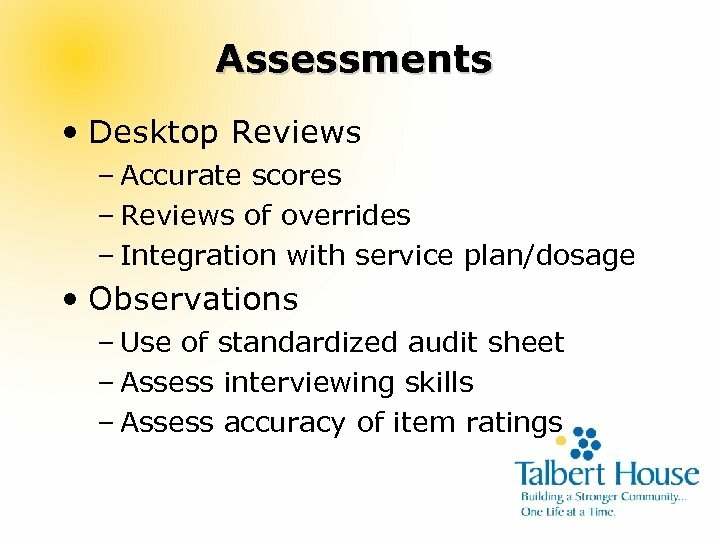 Ensuring Training Transfer • Use of knowledge-based pre/post-tests • Use of knowledge-based proficiency tests • Use of skill-based rating upon completion of training • Mechanism for use of data – Staff must meet certain criteria or score to be deemed competent. 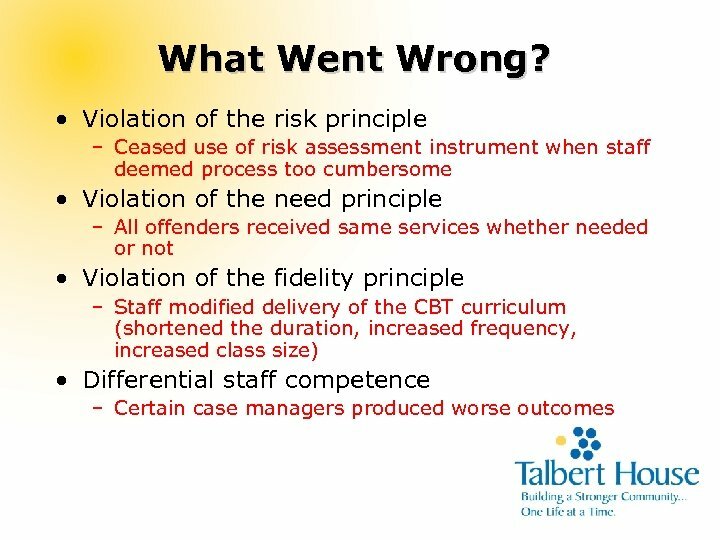 – Failure to meet criteria results in consequent training, supervision, etc. 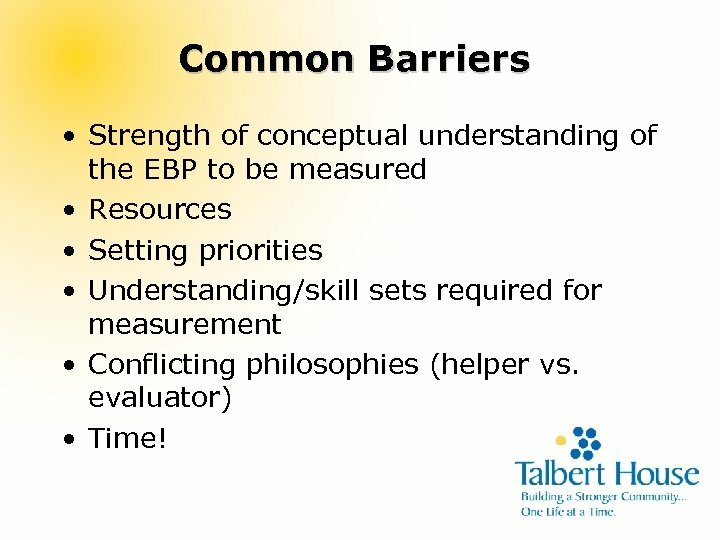 Common Barriers • Strength of conceptual understanding of the EBP to be measured • Resources • Setting priorities • Understanding/skill sets required for measurement • Conflicting philosophies (helper vs. evaluator) • Time! 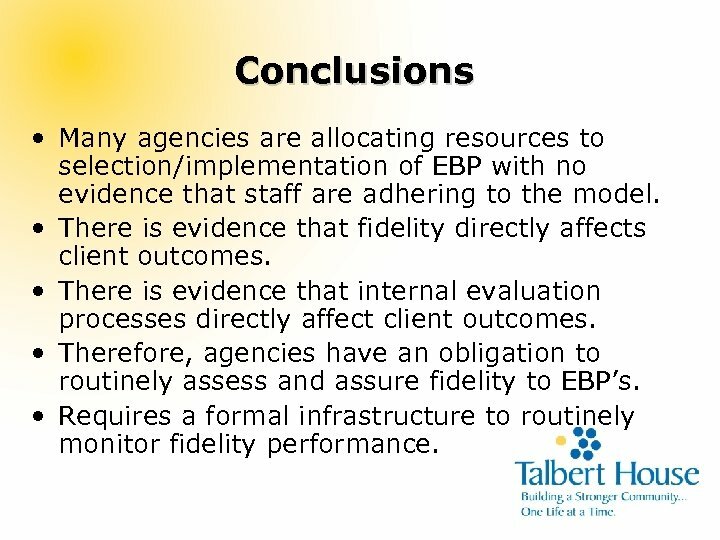 Conclusions • Many agencies are allocating resources to selection/implementation of EBP with no evidence that staff are adhering to the model. 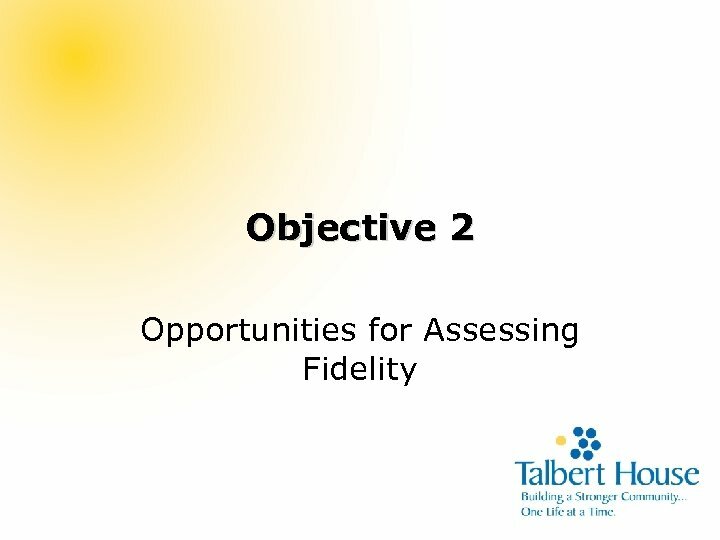 • There is evidence that fidelity directly affects client outcomes. 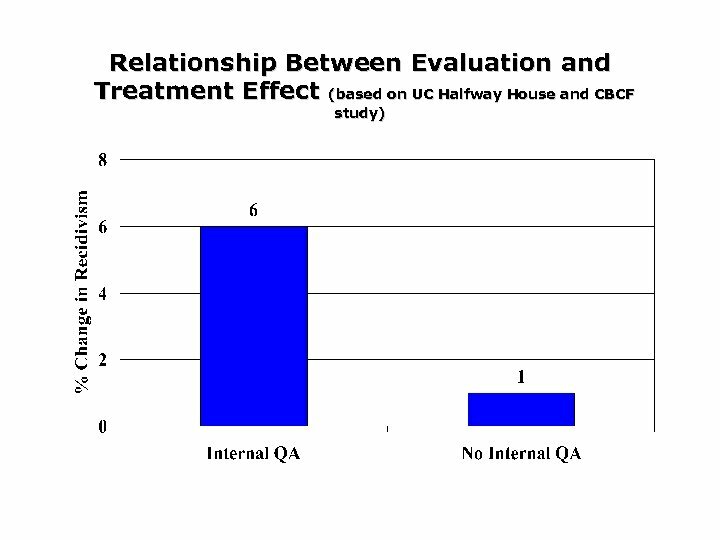 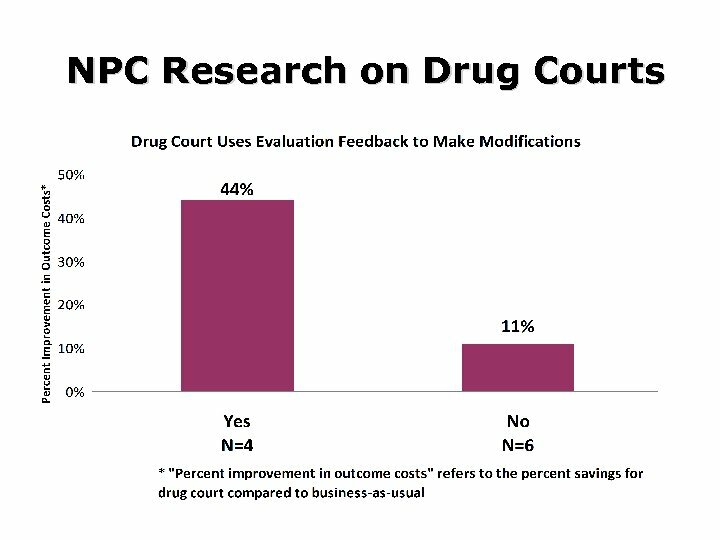 • There is evidence that internal evaluation processes directly affect client outcomes. 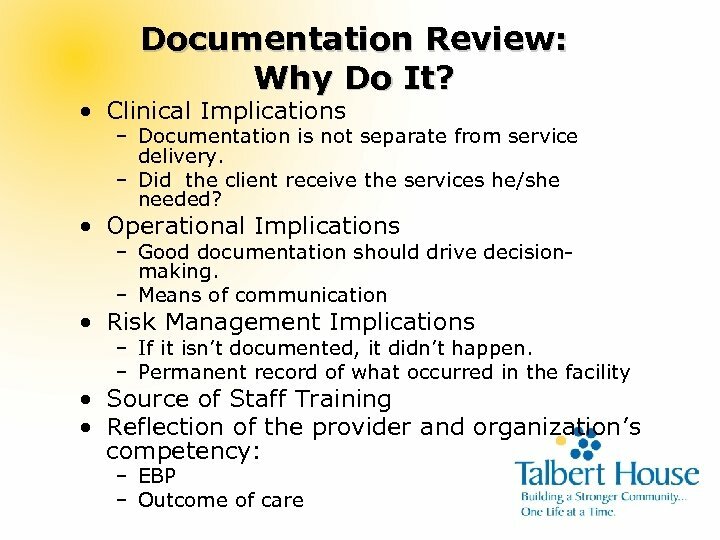 • Therefore, agencies have an obligation to routinely assess and assure fidelity to EBP’s. 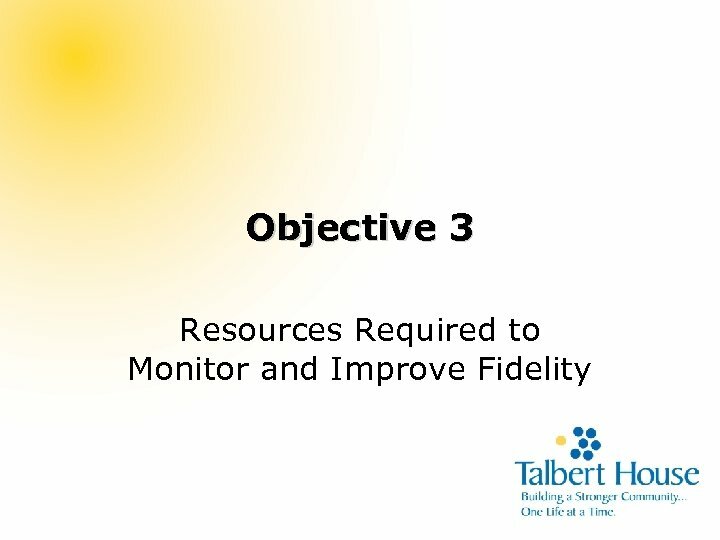 • Requires a formal infrastructure to routinely monitor fidelity performance.